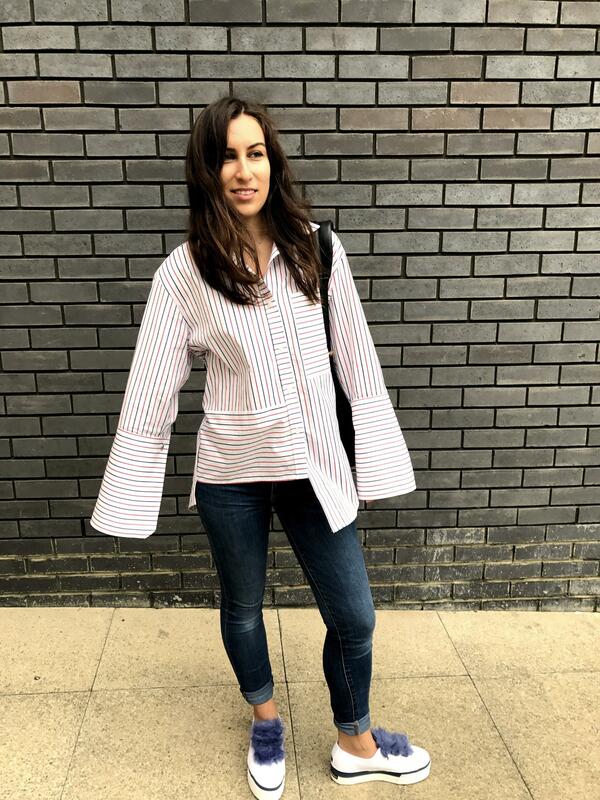 Here I paired the fluffy trainers with a pair of Gap jeans and asymmetric striped shirt by Topshop Boutique to create a simple, fun look. 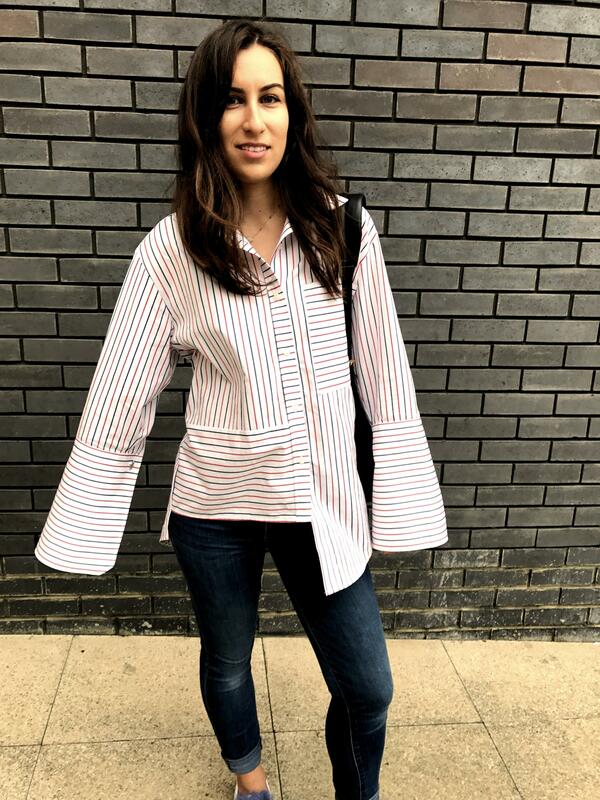 I recently picked up this shirt strolling through Topshop Oxford Street and taking a look at the Boutique section which is an area of the store I always seem to find something I like! 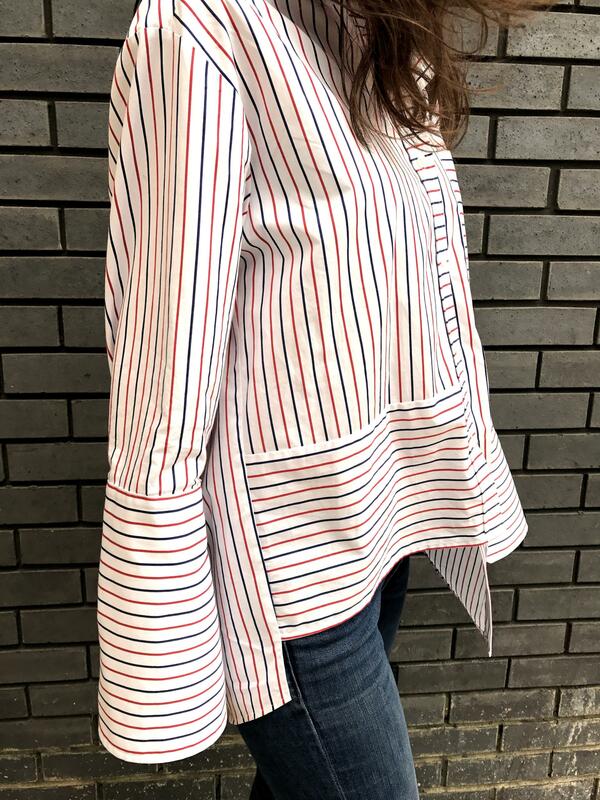 I enjoy how it has a playful style with the mixes of stripes, elongated sleeves and mismatched hemlines. 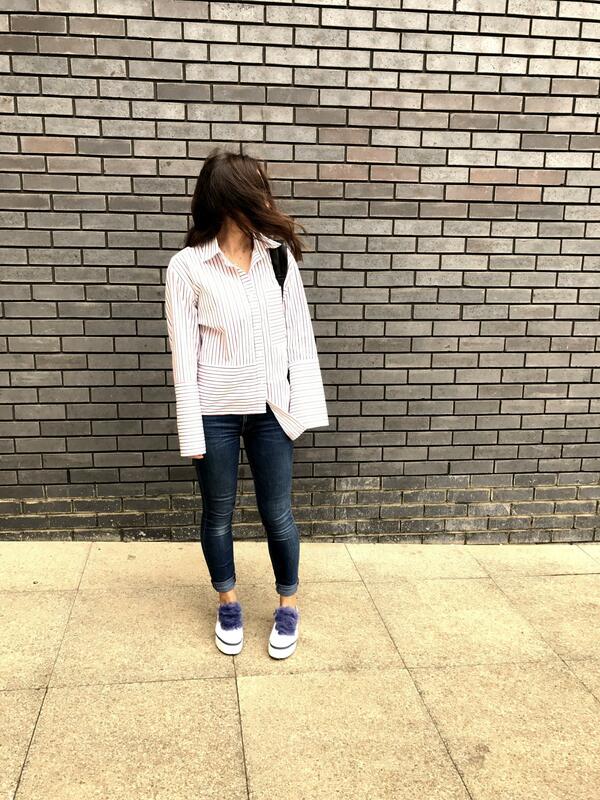 All in all the combo of the two pieces is something I really like for those days where you just want to be comfortable but not look like a slob! OMG, how cute are these! 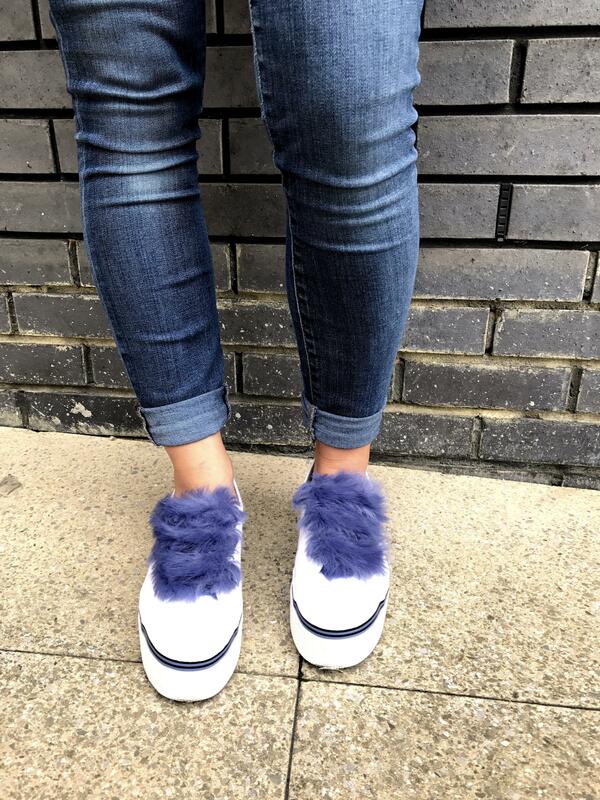 Such fun fluff balls on the shoes!! thank you! 🙂 I love them too! These shoes are amazing! I absolutely love them, they inject a bit of fun into an outfit and are just the cutest. Will definitely be investigating. Such a cute outfit and I’m so in love with your shoes!